Heat and Defrost for not factory air & factory air vehicals. 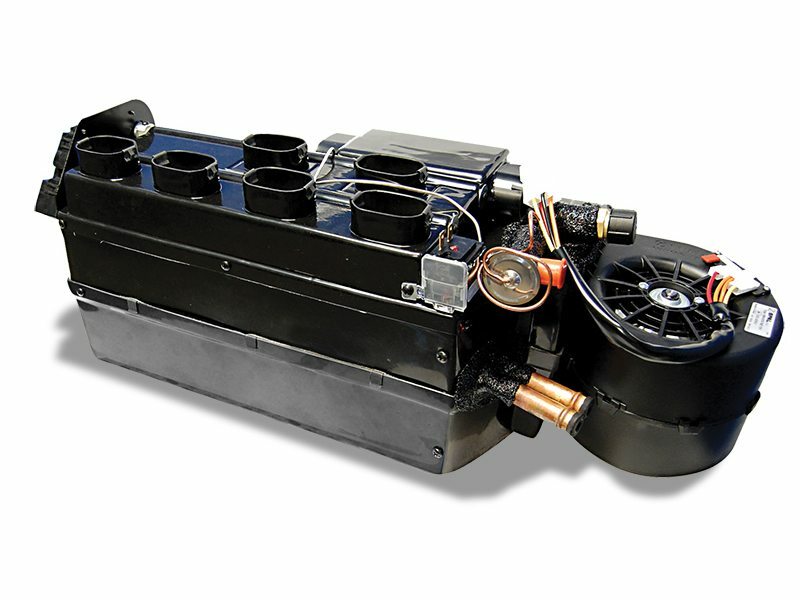 Classic Auto Air offers Street Rod air conditioning systems to cool large and small Street Rods. We’ve also helped many folks with classics for which we do not have standard kits and folks who just wanted a truly custom solution. Call or email, we’d love to help you personalize your classic. Because of our excellent reputation for uncompromising quality, component selection and attention to detail is evident in all aspects of the Perfect Fit™ product line! Every component was chosen on its superior design and quality rather than a low cost. Engineered with carefully sized, large separate A/C and Heat coils just like factory (OE) systems. The separate coils improve the cooling and heating capacity of the total system. This installed system gives you dash a/c, heat on the floor, and dehumidified defrost. Stock heater control panel is utilized. 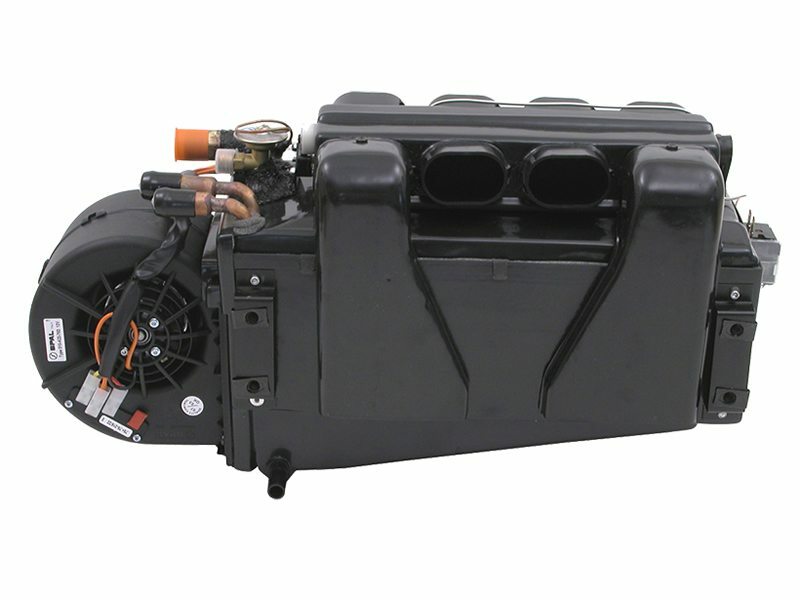 Our Street Rod Air conditioning compressor features Hi/Low pressure switch for compressor protection. Installation’s a breeze! We have photo illustrated air conditioning installation instructions. 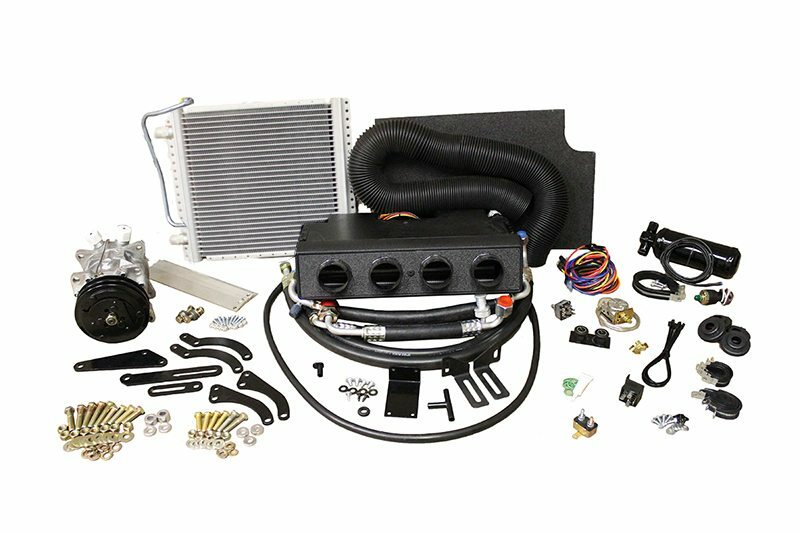 Each Street Rod air conditioning kit comes standard with the components you need to RETROFIT your classic. You’ll be living with cool comfort featuring the latest air conditioning technology built into the best-designed climate control system on the market today. What makes our Street Rod air-conditioning system the market leader? High performance! Every single AC component is chosen based on its superior design and overall quality rather than a low cost. A smaller A/C system is never better when it comes to cooling a high-powered, classic ride. 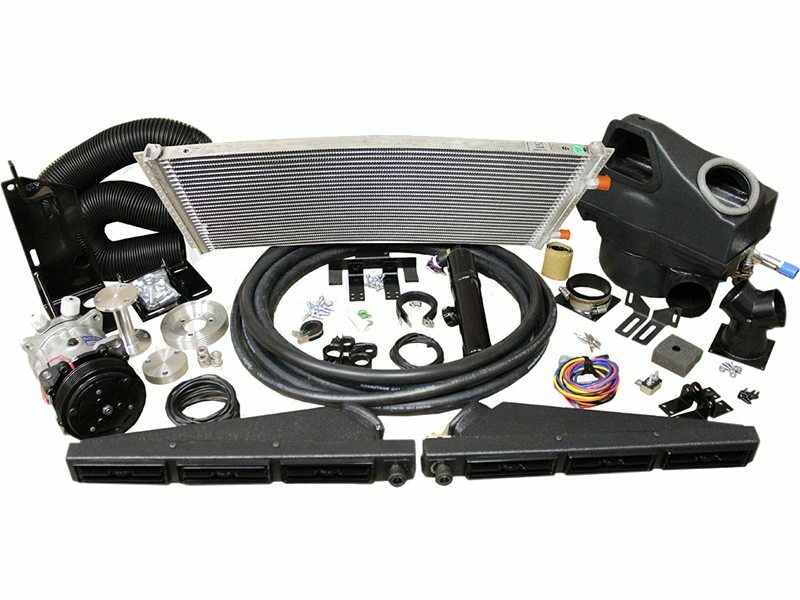 This Street Rod system allows you to RetroFit your classic ride to full air-conditioning, easily and professionally. All of the mode doors and shafts are 1-piece composite extrusions. This exclusive feature allows for larger diameter bearing surfaces and longer service life. All of the perfect fit systems are assembled using spring metal retainers and are screwed together to enable you to service the entire system. State of the art High Output OEM style blower assemblies from “Spal” with heat sink speed controllers for thermal protection. Excellent air volume with less electrical amperage. This is very important when installing on older vehicles where the electrical systems are not upgraded to modern standards. Four A/C-Heat outlets for superior comfort; not 3 like some competitors’ units. The Evaporator unit can be mounted in the center of the firewall or on the passenger side next to the passenger kick panel. When mounted on the passenger side, our exclusive remote heat dump lets you distribute heated air to the driver’s side floor or any other remote location you prefer. Our Evaporator unit is designed to go in the dash. Decide exactly where you want to put it and make sure it will fit. 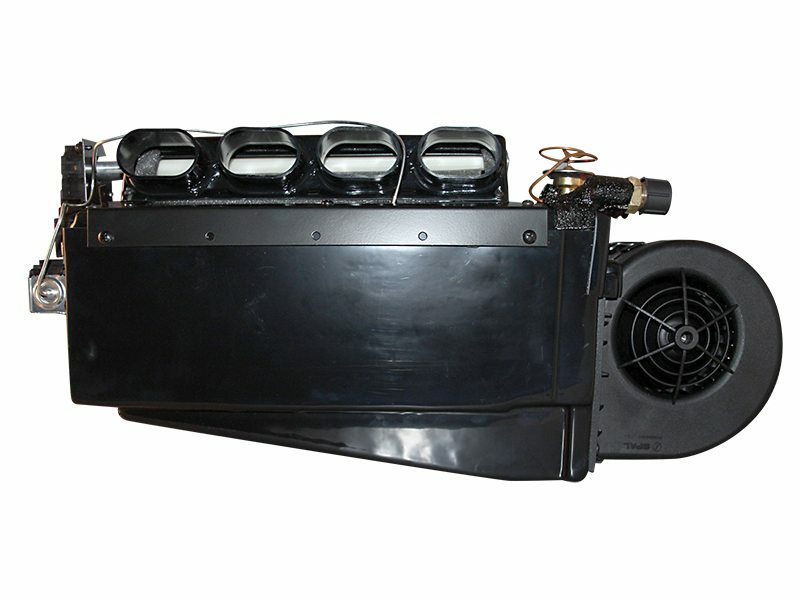 Street Rod Cooler II: 20” long x 7⅛” wide x 9” high Deluxe: 23” long x 11” wide x 10” high. Since each street rod has unique characteristics under the dash, we must rely on you to tell us what will fit in your application. If you are unsure, create a cardboard mock up. If it fits, the unit should. Don’t forget to consider hose/duct placement. 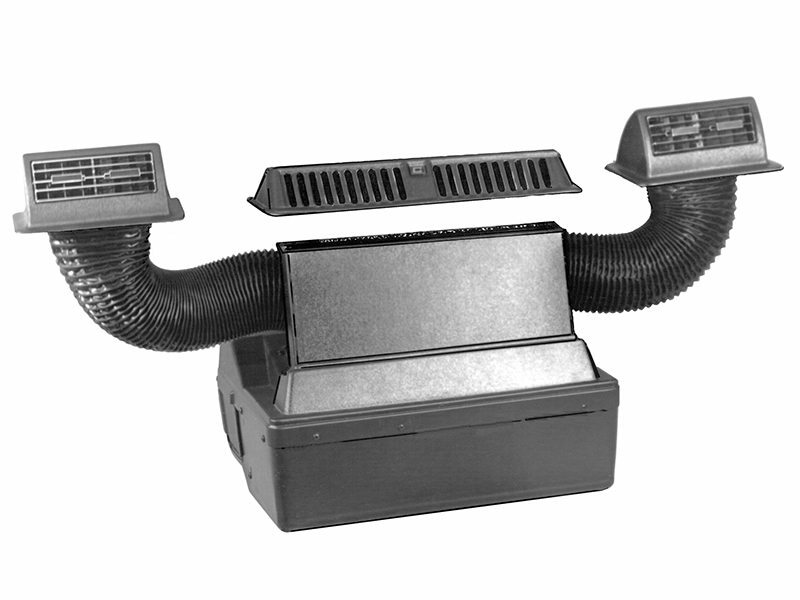 If your Street Rod already has defrost ducts, our Evaporator unit can be adapted to them. If you don’t have defrost ducts or yours are old or broken, you can use the ones we provide. It comes equipped with carefully sized, large, separate A/C and Heat coils just like factory (OE) systems, not combined A/C/Heat coils often found on aftermarket systems. By using separate coils we improve the cooling and heating capacity of the total system. This makes you cooler much faster!